Babak Khoramdin Castle, known as the Babak Fortress located 50 kilometers north Aharcity. At west highlands of great river Gharasu an area known as the Kalibr. 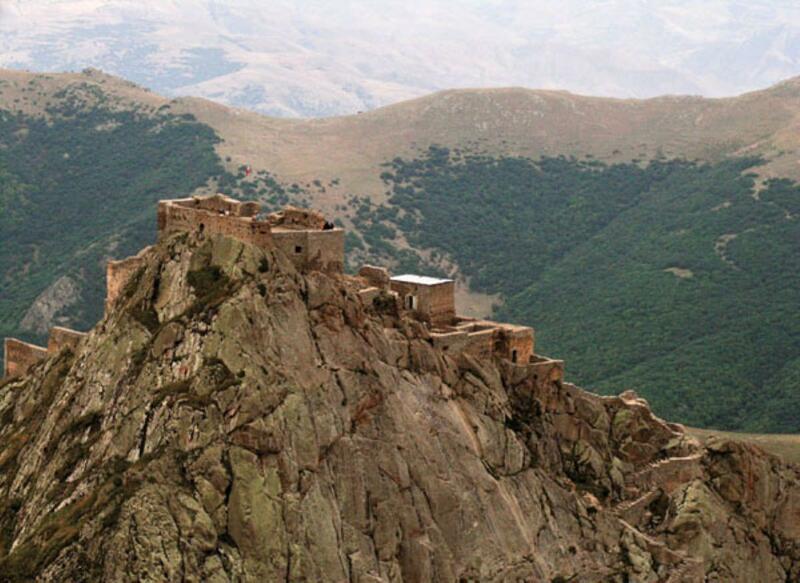 The Babak Khoramdin Fortress is on top of a mountain summit of about 2300 to 2700 meters above sea level. 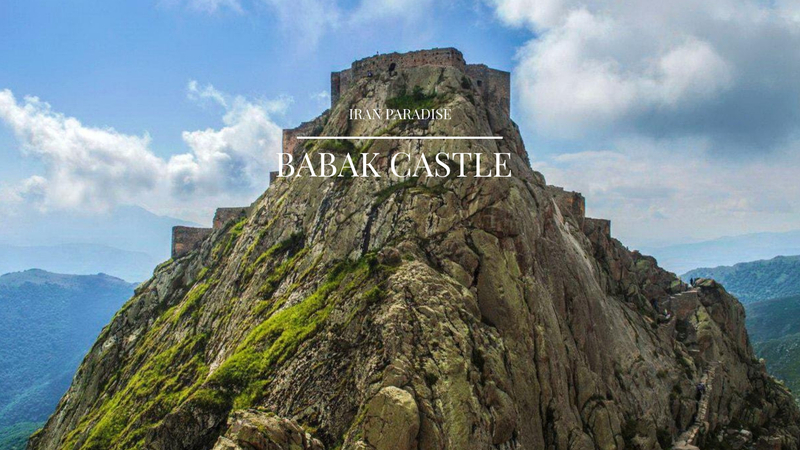 Babak castle also known as Babak Fortress also called Baz and Jomhoor castle which was fortress and headquarters of Iranian historian Babak Khoramdin who built it during uprising against Abbasid caliphate system in 3rd century AH. 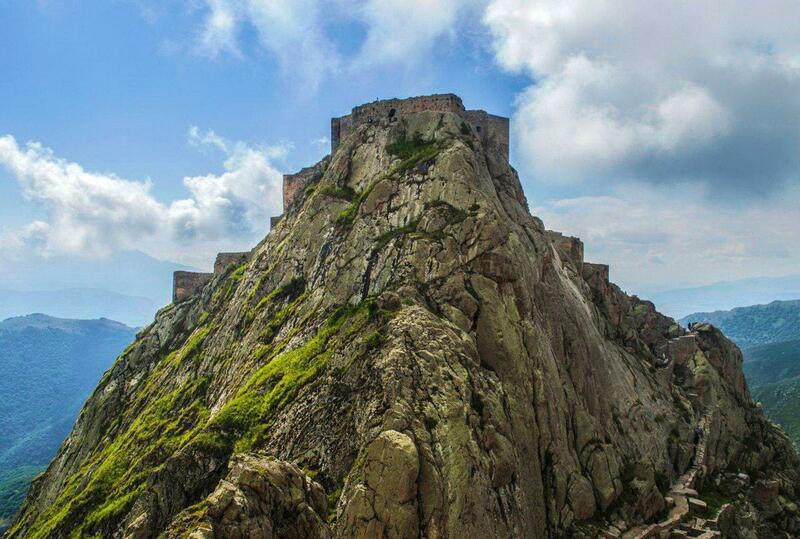 Babak castle was constructed on top of a mountain with 2600 meter height, near Kaleybar. The castle has been used in Sasanian era and before that in Parthian age. This castle has adopted its name from Babak Khoramdin, a patriot and militant leader against Arab invaders. Babak Khorramdin was a famous rebel leader from the Azerbaijan region of north-western Iran. Babak led a 23-year long campaign against the Islamic caliphate that ruled Persia in the 9th Century CE. Babak’s rebel organisation – they called themselves the Khurramites – resented the process of Islamisation that occurred in Persia following the Arab Conquest in the 8th Century CE. Babak (pronounced Bay-bek) was of Azeri Turkic roots, and he was a proud Zoroastrian. The Islamisation of Persia was a threat to his – and his follower’s – religious, cultural, and political freedoms. Distance from Kalibr to Babak Khoramdin castle is about 3 km and you should pass dangerous ways and passages. Before reaching castle gate and entering to building of fortress you have to pass through a way which is in shape of a hollow and formed by regular natural stones. Only one passing capacity exist and two people can barely pass through it. Distance to castle rampart is about 200 meters in front of it. From this point, the eagerness of this great castle and its stunning position causes every viewer wonder. To penetrate in Babak Khoramdin`s castle only way is to enter main gate and there is no possibility of entering castle from mountain. Passing through the entrance gate behind rampart to reach the main castle there is a narrow passage that extended about 100 meters altitude passed through the entrance of fortress you see a harsh route from one side to the valley with poor forests. 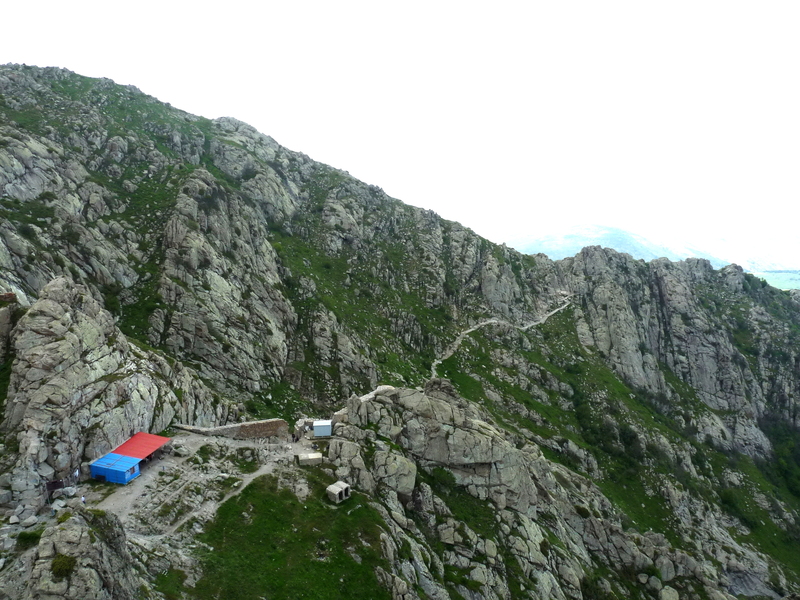 It is about 400 meters depth which extends by wall to valley. Take extreme care of the edge, and hold on to your children. Once you have climbed the pinnacle of the cliff, you will truly appreciated the amazing effort in building and maintaining a fort at this altitude. Unfortunately, you will also have to tolerate the graffiti on the ancient walls, and young people playing chicken on top of the Castle walls. Under no circumstances should you even consider climbing these walls: first, this can damage the ancient structure, and second, a fall of several thousands of meters would lead to certain death. Nevertheless, the experience afterward is well worth the strenuous climb: the surrounding Arasbaran oak forest, jagged cliffs, mountains in the distance, and the history of the place combine to create one of Iran’s most beautiful vistas. The castle, built on 2300-2600 meter heights, surrounded by gorges as deep as 400 to 600 meters, is believed to belong to the Parthian dynasty and modified under the Sasanid dynasty. To reach the castle, one has to trek a tortuous and narrow passageway and then cross a corridor-shaped temple, 200 meters in lengths. In natural supports of these walls and 4 sides of the building four semi-cylinder stands made for watchdogs . These are the mountain headquarters of militants and soldiers of Babak Khoramdin `s Castle who were watching each creature a mile away from the valleys and foothills.